Glory Clean reserves the right to introduce any changes to any part of these terms & conditions without offering any prior notice. By ordering our service via e-mail, fax, telephone or our website the customer agrees to pursue our terms & conditions. Minimum of three hours per cleaning visit applies. Glory Clean offers daily domestic cleaning at a price agreed beforehand for cleaning services arranged on weekly or fortnightly basis. Daily commercial cleaning prices have to be agreed beforehand also. Glory Clean holds the right to cancel its cleaning services if monthly dues are not made. Client agrees to offer a list of cleaning tasks as well as all cleaning materials & tools required for the needed job, unless other arrangements have been made by Glory Clean. If the client doesn’t have any cleaning materials and equipment and asks Glory Clean to buy required stuff on their behalf, they will be charged accordingly. Clients should comprehend that the cost he or she has been quoted doesn’t involve anything except cleaning & ironing labour. If a Glory Clean operative requires to gather keys from from the address of a third party outside the postal code of the property where the work is to be executed, then an extra charge may apply. Glory Clean holds the right not to carry on with the task if during inspection, it discovered that the item to be cleaned isn’t appropriate for cleaning. We also won’t persist with the task if for instance power or water isn’t accessible. Minimum of four hours per cleaning visit applies. Glory Clean offers end of tenancy, spring and one-off cleaning at a rate agreed in advance. The rates of after builders cleaning should be agreed in advance also. Client should agree to offer a list of task and all cleaning agents and equipment ( mop, vacuum cleaner, bucket and portable ladder) needed to execute the service, unless other arrangements offered by Glory Clean. If the client doesn’t possess an cleaning materials & equipment, we can supply them for additional charge. However, this should be requested at the booking time and doesn’t encompass the cleaning labour. The One Off/Spring Cleaning, After Builders Cleaning and End of Tenancy Cleaning don’t include cleaning of ceilings, walls, exterior windows, curtains, gardens, patio, laundry, carpet and upholstery cleaning. Additional charge may apply if a Glory Clean operative have to collect keys from a 3rd party’s address outside the postal code of the site where the work is to be done. Client should understand that an end of tenancy cleaning may require twice the time of a standard cleaning, so will be charged accordingly. Glory Clean holds the right not to carry on with the task if during inspection, it’s discovered that the item to be cleaned isn’t appropriate for cleaning. We also won’t persist with the task if for instance power or water isn’t accessible. 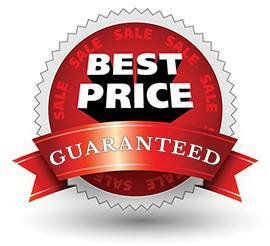 All carpet and upholstery cleaning requests are subject to previously agreed price. Glory Clean holds the right to cancel the service if monthly payments are not made. Differences in excess of 10 percent will be discussed with customer before starting the work. If a Glory Clean operative requires to gather keys from the address of a third party outside the postal code of the property where work is to be executed, then an extra charge may apply. If the customer has any pet like cat, dog or other hairy animal furs slowing down the cleaning procedure, extra 30 percent charge maybe incorporated to the normal price. If water exclusion is needed because of flooding, 30 percent additional charge may be included to the standard fee. If the client’s premises are on top of the 3rd floor of a building with no elevator extra charge may apply. Payment is requested after at the end of the day following the cleaning session is done. Payment can be done in cash after the completion of the service. Payment can be done via credit or debit card (This should be made beforehand). If payment is done via credit card 3 percent surcharge may apply. Glory Clean will not share clients’ credit card information to any third party. Payments can also be done via cheque payable to Glory Clean on completion of the job. If making payment via cheque, cheque guaranty card is needed and customer will be accountable for all bank & legal fees resulting from an illegal cheque. Clients must comprehend that any ‘late payment’ may subject o extra charges. All payments should be done in Great Britain Pounds. Clients must comprehend that poor service, damage or theft should be accounted inside 24-hours from the actual service date. If clients won’t be able to do so, then he or she won’t be offered with any refund or recovery cleaning. Glory Clean may take up to five working days to answer to a complaint. If the customer has scheduled an inventory inspection then it should be scheduled to start no later than 24-hours following the cleaning task has been accomplished. We will not approve a complain based on a inventory check report, filled more than 24 hour following the cleaning session. Complains are accepted in writing (fax or email). All fragile & highly breakable stuffs should be secured. Stuff removed from liability are: jewellery, cash, art, antiques, and items of sentimental value. In case of damage Glory Clean will strive to fix the stuff. If the stuff can’ be fixed Glory Clean will rectify the issue via its insurance firm by crediting the customer with the item. Glory Clean offer a Public liability insurance. This policy will cover any unfortunate damages sourced by a worker working on behalf of Glory Clean, accounted inside 24-hours of the service date. Insurance cover doesn’t encompass anything that may collapse or malfunction at any time such as: washing machine, dishwasher, cookers, oven, fridge, extractor fans, etc. The client should warn the cleaner regarding the appliances that fixed poorly or not functioning properly. Glory Clean holds the right to deny to share any of the personal denouements of the company. Clients should understand that they aren’t entitled to any kind of refund. If the customer isn’t contended with the cleaning job offered and a complain has been submitted in the mentioned 24-hours following the job has been accomplished, Glory Clean holds the right to supply a cleaner and re-clean any items and areas to client’s contentment. We holds the rights to return a cleaner only once. Clients may cancel the scheduled cleaning task up to 24-hours before the actual cleaning time. Clients agree to pay 50 percent of the price quote as cancellation charge if they cancels or amends the date or time less than 24-hours before the scheduled appointment. Client agrees to compensate 50 percent of the quote as a cancellation charge in the case of a lock out; nobody in the property to let them in; no hot water or electric accessible at client’s property or issue with customers’ keys. If an advance payment has been made to Glory Clean then customer agrees that the deposited fund may be employed to cover the cancellation charge. Glory Clean holds the right to make any amendments to the above mentioned terms & conditions without any prior notice. For latest update be in touch with us!